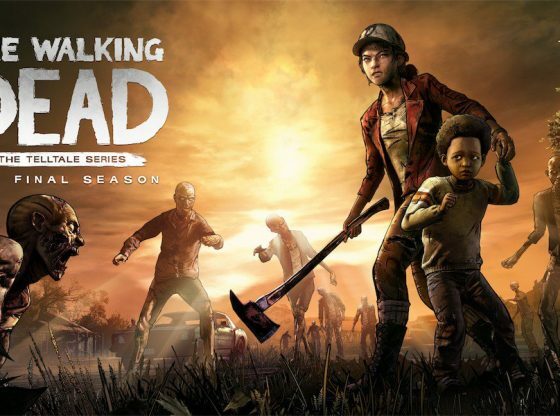 The first installment of the The Walking Dead video game series was first released in 2012, bringing with it a new and refreshing take on the zombie apocalypse; instead of being the cliché combat-centric video game, The Walking Dead gave the spotlight to much deeper aspects, such as human trauma, coping mechanisms, and moral choices. 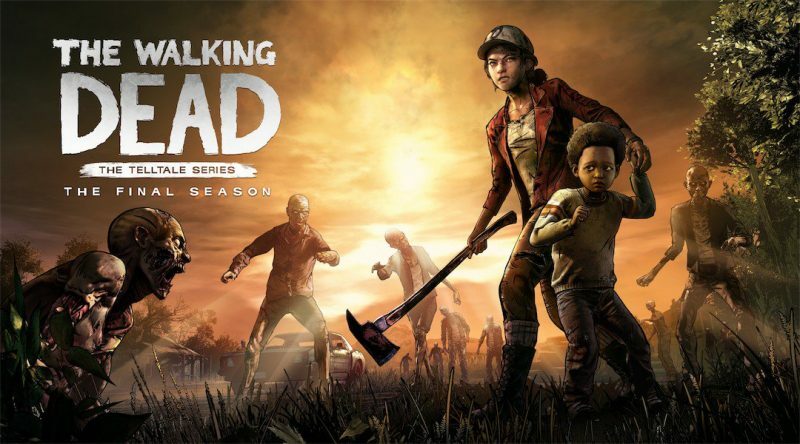 The first season told the heart-breaking and all-too-brief story of Lee and Clementine, a lonely man who takes on the role of caretaker and father figure of an orphaned young girl. 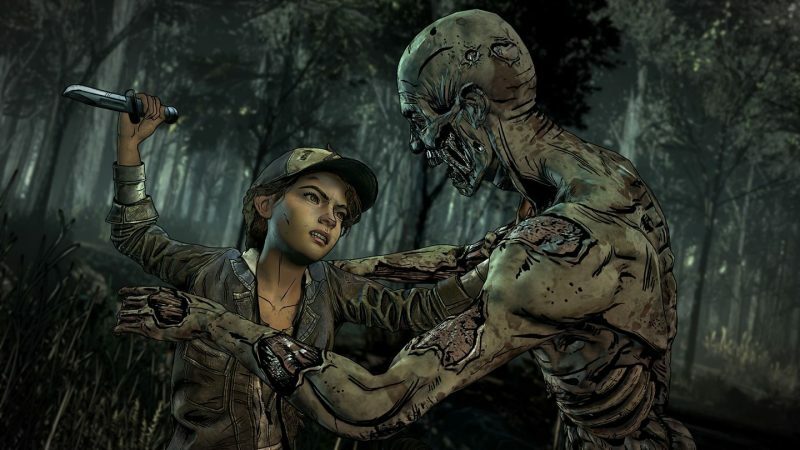 At the end of season 1, and whilst protecting Clem, Lee is savagely bitten by a zombie, after which Clem shoots him in the head. Season 2 and 3 follow a hardened and haunted Clementine, all on her own, through an even grittier and deathlier road, until lastly, she headed off to try to find A.J., a fellow orphan whom she had had a brief encounter in previous seasons, consequently becoming his protector. “…but there’s also a sense of camaraderie and an easy-going nature that simply wasn’t present with Lee”. 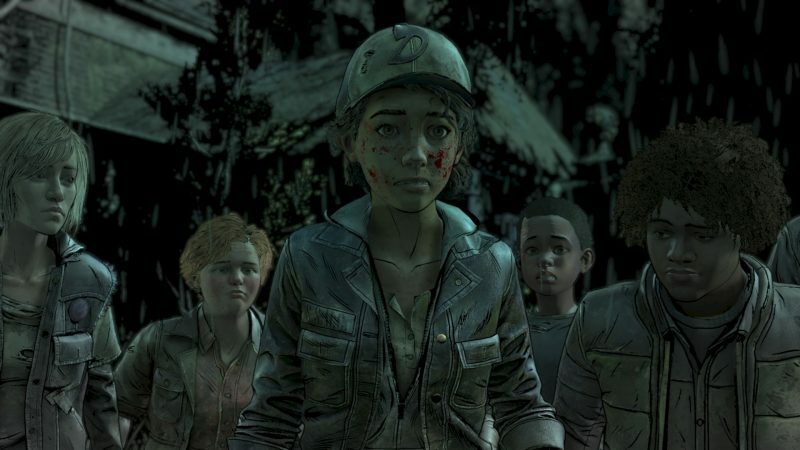 It’s not hard to pinpoint the stark similarities between this fourth season and the very beginning of the series, her life so far having completed a full cycle: Clementine went from being the protected, to being the protector, with Clem herself replacing Lee, and A.J. replacing her. However, the first minutes of Done Running hint of a Clem-A.J. 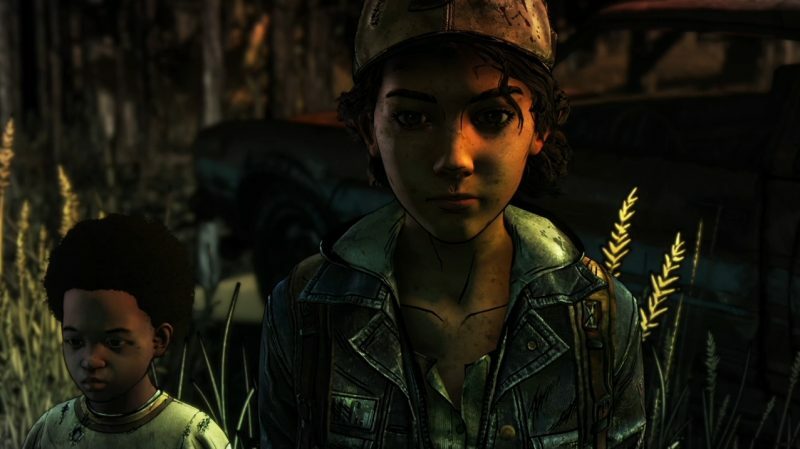 relationship which highly differs from that of Lee and Clementine’s: Yes, Clem obviously represents the authoritative figure, but there’s also a sense of camaraderie and an easy-going nature that simply wasn’t present with Lee. The first episode, “Done Running”, kicks off with Clem and A.J., both nearly starving, driving through the city in search for food. It is in this particular opening scene that we get a glimpse of their relationship: two kindred souls that have gone through unimaginable despair and grief in such a short amount of time, who have miraculously managed to embrace all that heartbreak and suffering while also staying sane; but it doesn’t ignore either the fact that they’re both really young, so we can also see them joking and teasing each other, which makes for a very heart-warming and bittersweet scene. After a failed and nearly fatal attempt at retrieving food from a train station’s storage house, Clem and A.J. are rescued by a group of kids that live in a nearby former boarding school named Ericson Academy, which is likewise ruled and run entirely by teens and children. We experience here a new and fresh angle in regards of post-apocalyptic survival in the shape of this children-ruled little community that, as it happens, is very well organized, with designated safe zones, a fishing spot, and traps to catch game; each hardworking kid performing a specific role that will ultimately benefit everyone. The interaction among Ericson’s residents has, too, its own peculiar traits, that greatly differ from previously seen adult refuges: There’s a surprising lack of conflict, almost everybody gets along, and a sense of respect given to those who’ve experienced the most, regardless of the age. “We realize it’s not as action and adrenaline-ridden as the previous seasons were, but instead this episode is a rather slow-paced journey based on exploration and observation”. It is from this point on that we acknowledge the key elements that Done Running brings to the story, and we realize it’s not as action and adrenaline-ridden as the previous seasons were, but instead this episode is a rather slow-paced journey based on exploration and observation. 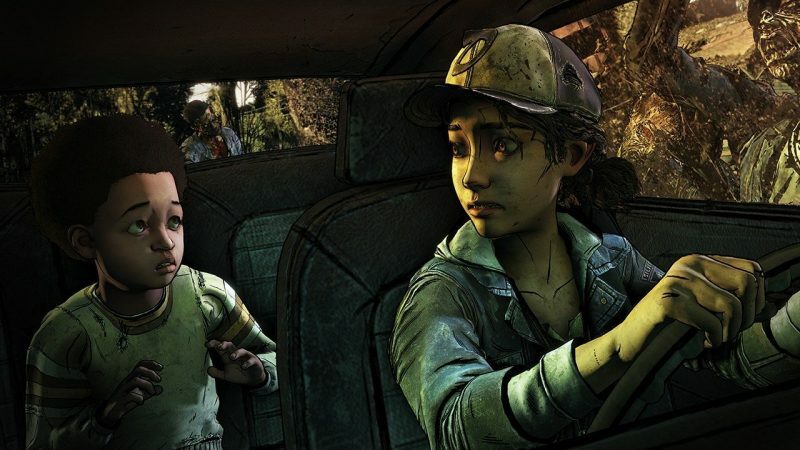 The game breezes through dialogs and flashbacks that inform us about the kids’ past lives, including Clementine’s. First and foremost, though, the episode is about making decisions (sometimes, very difficult ones), and balancing out their future consequences, especially those related to A.J. Earlier in the episode there’s a very explicit prompt that warns us “A.J. is always listening”, meaning that he is still in that malleable stage where behavior and important decisions highly influence and shape him for life. The game’s playability and graphics have, likewise, had some subtle yet still noticeable changes. This time around the camera and overall vision are mostly controllable, giving a wider berth to combat moments, i.e. if the distance allows it, you can now choose how to strike a walker. This is not to say, however, that The Walking Dead got rid of QTEs; in fact when they do happen, they do so smoothly and without a hitch. It didn’t escape notice either the new graphic black art style now present in the characters, making it an eye-catching and stunning addition to the game’s visual experience. Ultimately, we think Done Running sets up a very promising start on an already very promising season, especially with a major twist right at the end of it. As it was told above, the episode center on Clementine’s and A.J.’s interactions and relationship, taking harsh decisions, and cohabiting with fellow young people, a whole new experience all on its own. The Walking Dead: The Final Season, episode 1 aired on August 14th, 2018.